This is such a great dress I had forgotten about in my closet. I wore it to a wedding a few years ago here and haven't worn it since. It is amazing how a few years and slight styling changes can really transform a simple dress. A great fitting dress with a fun print gives you an easy go-to piece for any wedding or formal function. 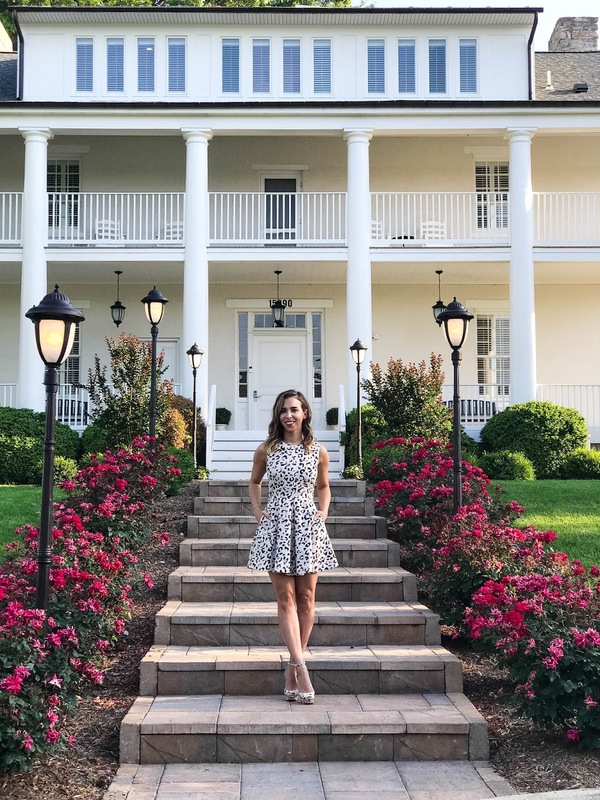 For the most recent wedding I attended, I wore this dress (also worn here). To style things a little differently this time, I wanted to go with more retro waves in my hair and different heels. Keepsake is one of my favorite brands that I can always count on for great quality pieces. 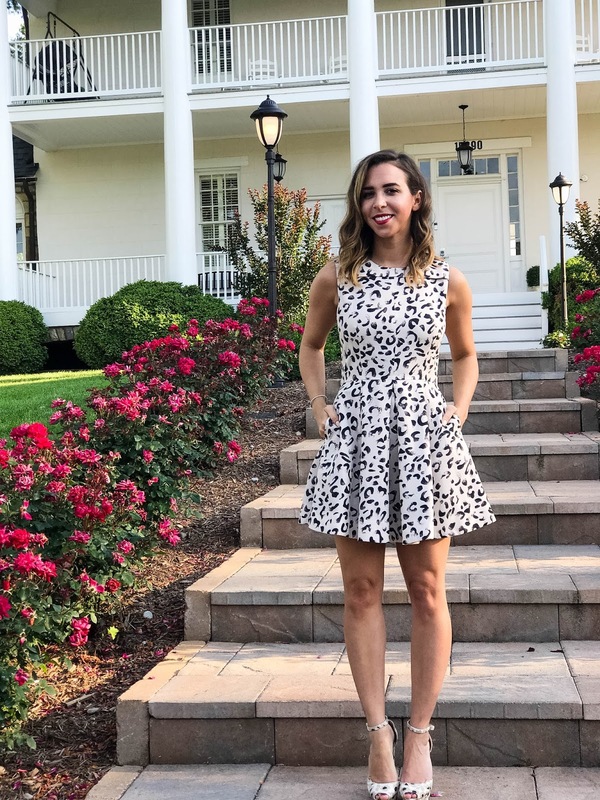 I love the style of this dress and it is such a great item to grab for a more casual wedding if I don't have time or money to shop or rent something for the occasion. As wedding season is winding down, this is a great time of year to score some classic dresses that are marked down in end of season sales. It is the perfect time to stock up for next year's round of vows! Both pic are so beautiful. I'm a leg guy, so I can confirm this looks great on you.